IndyDebates 2018 at UNLV on Monday, May 21, 2018. State Sen. Scott Hammond, former Clark County Republican Party Chairman David McKeon, former television reporter Michelle Mortensen and businessman Danny Tarkanian. Photo from debate livestream. The Republican candidates vying for the chance to represent Nevada’s 3rd Congressional District in the November election drew lines in the sand on a number of issues at a debate Monday afternoon on issues ranging from whether they would support a path to citizenship for all unauthorized immigrants to what the country should do about gun violence. The candidates also revealed their libertarian or pro-states’ rights leanings on issues such as recreational marijuana use and noted areas where they have disagreed with President Donald Trump at the hour-long debate hosted by The Nevada Independent at UNLV. The four top candidates, state Sen. Scott Hammond, former Clark County Republican Party Chairman David McKeon, former television reporter Michelle Mortensen and businessman Danny Tarkanian, participated in the debate. During the debate, Tarkanian said that he would support universal background checks on gun sales and transfers, after previously calling a ballot measure to do just that a threat to Americans’ constitutional rights, while Mortensen called repeated questions on how to address the problem of gun violence “silly.” Most of the candidates also said that Americans don’t have a right to health insurance, though all agreed that people should be able to purchase affordable coverage should they so choose. All four of the candidates have touted their affinity for President Donald Trump on the campaign trail and many of the policies he has championed. However, each of them put at least a little bit of distance between themselves and the president during the Monday night debate when asked to name one of Trump’s decisions with which they have disagreed. Both Hammond and Tarkanian criticized the most recent $1.3 billion spending bill passed by Congress in March. Hammond, answering the question first, expressed concern that the United States would go the way of other countries, such as Greece and Portugal, that have had to implement austerity measures if it didn’t get its debt under control and said that the budget should include something to address the national debt every single year. “Even he said he didn’t agree with it, and in retrospect would not have wanted to sign it. I don’t know how it got so far down the line that he didn’t have any other choice,” Tarkanian said. McKeon said that he dislikes Trump’s appointment of Attorney General Jeff Sessions, saying that Sessions should not have recused himself from the Russia investigation. He said that he doesn’t think Sessions is doing a good job as attorney general, and that the investigation has turned into a “witch hunt” and should be shut down. “I think what he should’ve done is followed through with the rule of law, let the process take its place while he was there and he could have had a more impactful resolution to the problem we’re facing right now in our government,” McKeon said. Mortensen said she does not agree with the president’s decision to ban most transgender people from serving in the military, a policy the White House announced in March. The four candidates all had slightly varying views on what they would like to see happen to the 1.8 million immigrants that enrolled in or qualify for the Deferred Action for Childhood Arrivals program, which gave children brought to the country illegally by their parents deferral from deportation and employment authorization. McKeon and Tarkanian both said that DACA recipients who haven’t committed crimes should be given legal residency, although Mortensen, Tarkanian and Hammond all expressed some degree of openness to supporting legislation that allows a pathway to citizenship for DACA recipients if the bill also were to address other concerns, such as family-based migration and border security. Mortensen said that she “100 percent” supports the president’s four-point immigration plan, which included a pathway to citizenship for DACA recipients, $25 billion in funding for the wall at the U.S.-Mexico border, limiting family-based migration and ending the visa lottery program. Hammond largely agreed, saying that the issues with immigration can’t be looked at one at a time. He said that the left will have to compromise on issues such as border security, while the right will have to look at the DACA situation. Tarkanian wasn’t quite as willing to say he’d agree to a pathway to citizenship for DACA recipients in exchange for other, conservative immigration priorities, asking why someone would “want to give away [their] most generous negotiation tool?’ He said that he doesn’t believe giving citizenship to people who entered the country illegally before those who have been waiting in line to do so legally is “fair” and he prefers DACA recipients only receiving legal residency, but that it is something that he thinks needs to be negotiated. “I understand that you need to negotiate between both sides and if you can get the other items I just mentioned,” such as border security, ending the visa lottery program, implementing the government’s employment eligibility verification system known as E-Verify and limiting family-based migration, “then maybe you can go further than legal residency,” Tarkanian said. McKeon said that DACA recipients should be allowed to go through the green card process, adding that those individuals who have overstayed their visas should be given an extension. But pressed what should happen to people who entered the country illegally, McKeon said that those individuals should be deported. However, all four candidates took a much harder line on the estimated 11 million immigrants in the United States who are here without authorization, saying with varying intensity that they do not support a path to citizenship for those individuals. Mortensen said that those individuals should not be given a pathway to citizenship because some of them “are not people we want here,” such as criminals, although she also said that some of them probably do deserve citizenship. Hammond said that he’s generally against a pathway to citizenship for all unauthorized immigrants because it means that those individuals are cutting the line in front of those who have waited their turn, but he said it would also be hard to get rid of them all at once. 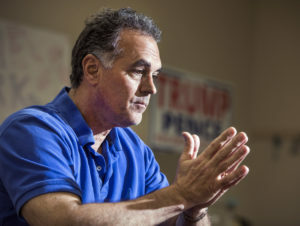 Tarkanian also said he does not support a pathway to citizenship for those individuals, even if they have been good members of society, though he still left open the door to some sort of compromise on immigration. “We need to get something passed. We need to get something done where we solve some of the bigger problems that are out there, border security, chain migration, E-Verification, and if we have to give up a little bit to give all of that then I would be in favor of that,” Tarkanian said. Three of the four candidates — Hammond, McKeon and Mortensen — said that they would have signed a discharge petition to force a debate on a series of immigration measures in the House, as Republican Rep. Mark Amodei did. Only Tarkanian said that he would not have, worrying that Democrats with the help of some Republicans would’ve passed some sort of pathway to citizenship for DACA recipients or to unauthorized immigrants more broadly without addressing other immigration problems. “It’s a strategy argument. Legislation is the art of compromise and negotiation. You just don’t give up everything,” Tarkanian said. None of the four candidates explicitly said that Americans have a right to health insurance, though some came closer than others. Tarkanian said that the United States “as a developed, benevolent country” has an obligation to take care of its citizens and its residents. “We should do everything we can to provide that health care to them,” Tarkanian said. Hammond specifically said that health care is not a right, but “it is certainly something that we care for one another.” Mortensen said that health care is “certainly” not a right, while McKeon didn’t specifically address whether health care is a right but said that the government’s responsibility is to be like a referee in a football game and call out the bad actors. However, they all believe that the Affordable Care Act isn’t helping Americans gain access to health insurance and believe that more needs to be done to foster marketplace competition. Tarkanian suggested that people should be able to pick and choose what kind of insurance they want, carry health savings accounts with them from job to job and to increase transparency about the actual costs of insurance. He said that a “one-size fits all” approach under the federal health-care law isn’t working and that people should be able to select cheaper plans with fewer benefits if they so choose. Hammond mainly agreed with Tarkanian, saying that health care is too closely tied to employment and that there should be more marketplace options for purchasing health insurance. He said that people should be able to choose among a “smorgasbord” of health plans, including those that offer both higher and lower deductibles. McKeon said that government needs “to do what is right” to make it possible for people to purchase insurance that is affordable and allow people to make choices that “are in the best interest of themselves,” whether that’s purchasing a more robust plan or a more modest plan. Mortensen said that the health insurance system before the Affordable Care Act went into effect was “just fine” and that President Barack Obama is “destroying this country” with the federal health-care law. She also said that government-run health care, such as Medicaid and Medicare, is “not fabulous and we all know it,” noting her time working as a consumer reporter advocating for patients who had difficulty accessing their insurance benefits. However, she suggested that the government could start making small cuts, such as changing Medicare payouts and generic drug plans, that would help chip away at the federal deficit. “It’s not enough but it’s a start, we have to start somewhere,” Mortensen said. All of the four candidates said they voted against Question 2, the ballot measure that legalized the sale and use of recreational marijuana in Nevada. However, all of them said that they believe that the U.S. Justice Department should leave Nevada and other states that have legalized the use of the drug alone and not keep them worried about the threat of a looming crackdown. Mortensen said that while she did not support the ballot measure, she’s a “you do you, boo” kind of person. She added that she would “absolutely not” encourage Attorney General Jeff Sessions to crack down on marijuana enforcement. “Just because it’s not my cup of tea doesn’t mean I impose my personal beliefs on you people,” Mortensen said. Both Hammond, Mortensen and Tarkanian said that they would vote in Congress to remove marijuana’s designation as a Schedule I drug, while McKeon said he would “cut the baby in half” and that there should still be prosecution for people who purchase marijuana illegally in states where it is still illegal. Three of the candidates — McKeon, Tarkanian and Hammond — pointed to societal issues, including with video games, social media, faith and the family, as the reasons behind the increased amounts of gun violence at schools in recent months, including the shooting in Texas on Friday that killed 10. Mortensen suggested that the federal government block grant money to the states to craft individual safety solutions on a school-by-school basis. But she also pushed back on the broad notion of blaming society at large. She said that she’s been stalked multiple times throughout her career as a television reporter and that police weren’t able to do anything until he crossed the line. “It’s horrible but we have horrible evil people who commit horrific crimes but there’s no law on the books that is going to stop a psycho from doing something psychotic,” Mortensen said. McKeon said that kids are playing violent video games where killing people results in “absolutely no consequences” and posting things on social media with “no consequences to their words either.” He added that parents are “unaware” and need to be more involved in their children’s lives, especially monitoring what happens on social media. “They need to go to jail as well,” McKeon said. He also said that law enforcement needs to start watching social media more closely to preempt attacks before they occur and to act on credible intelligence when they receive it. Hammond said that schools need to implement more practical solutions to increase their security, whether that’s using technology to notify first responders and other campus officials about an active shooter situation or additional security on campuses. But, like McKeon, he also said that he thinks part of the issue is an overall societal one. Tarkanian said that he also believes that there’s been a de-emphasis on the family unit, on faith and on being a good person and that society has glamorized violence. But he said there are two steps that can be taken to address violence: more security at schools and universal background checks on guns. “We need to keep guns away from people who shouldn’t have guns. 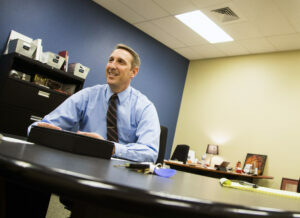 We should have background checks for everybody,” Tarkanian said. “I think we absolutely have to keep the guns away from bad people and that’s the best way to do so,” he added after a follow up question specifically about whether he supported universal background checks on private gun sales and transfers. Tarkanian called a ballot measure to do just that — require background checks on private gun sales and transfers — during his 2016 campaign a threat “to our Constitutional rights.” The measure passed in November but has yet to be implemented after Attorney General Adam Laxalt’s office issued an opinion in December 2016 calling the law effectively unenforceable because of the FBI’s declaration that it would not process background checks for the state.